When a salesperson starts to work within a company, it is generally accepted they would use a CRM system. Is it mandated? Perhaps not specifically but it is expected and it is needed for forecasting and tracking conversations. When a finance person starts with a company, do they have systems they have to use? Absolutely and again there is more of an expectation then it being mandated. However, would one say it is mandated? A procurement person who moves into a new company, do they ask where is the eSourcing system or do they ask for their email? Invariably we have seen that the majority of procurement professionals will use email, even in organisations who have eSourcing systems. In many cases, the eSourcing systems are only seen useful for eAuctions and complex tenders. However, by using email, there is a lack of data centralisation and it is challenging to scale resulting in leaving savings on the table. How do we all encourage the use of the most appropriate tools? People: Are the procurement professionals who come into organisations exposed to the right level of training? Although how much training would be required over what period for the change to take effect? Technology: Is the technology out there on par with email? Do the providers need to focus more on benefits for all levels on the organisation to garner more interest and drive change from the top down. This is obviously a continued focus for software providers, especially those who are best of breed. If the tools are more savings forecast led, this might help speed adoption with the parallel to CRM systems and the sales forecasting required by finance. Process: Mandating is a dirty word it seems in many circles. When you mandate software, people tend to resist and look for work-arounds. However if it was mandated to use eSourcing, then even though there would be several months of change, training, challenges, it would all be soon forgotten and the benefits would be immediate and ever growing. If the tool is right, why wouldn’t you? Market Dojo has been working tirelessly towards eSourcing adoption. To tackle these challenges we have two new improvements. Firstly we are more integrated with savings tracking which helps drive adoption from the top down. Secondly, we are very excited about the upcoming release of Quick Quotes. This will give the ability for procurement to help manage tail end spend. The quotation portal will be available to anyone in the organisation to raise a quote. 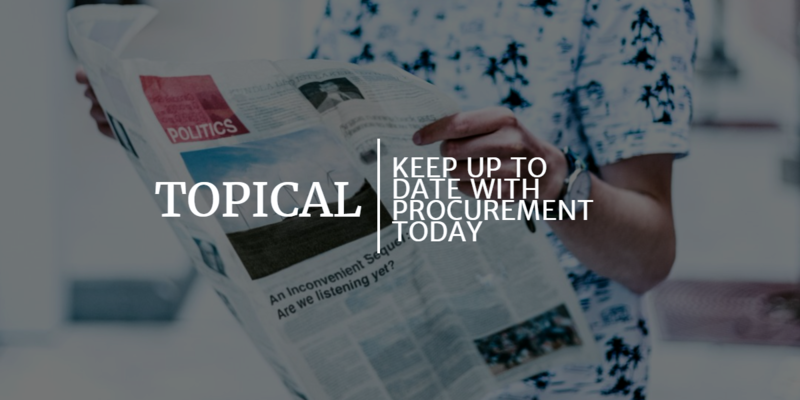 The benefit for procurement is that they will gain more visibility of the processes used in the extremities of the organisation, centralise the data and allow for better reporting.